We've got the Nikon D4 in for testing and have put it through our lab tests to see how well it performed, and we're pleased to say that the results are good. Our lab includes a specially designed chart which is shot in carefully controlled conditions, with the resulting images analysed using DXO Analyser software. We test for both signal to noise ratio - which indicates how clean an image will be, and dynamic range. We've found that the D4 beats the Nikon D3x, Canon EOS 1D MK IV, Nikon D700 and Canon EOS 5D MK II in our signal to noise ratio when shooting JPEGS. In terms of raw images, the Nikon D4 beats everything aside from the Canon EOS 5D Mark II between ISO 1600 and 6400. Right up at ISO 6400, it is also beaten by the Nikon D700. Dynamic range results are particularly impressive, with our charts showing that the JPEGs have at least 1 stop higher dynamic range than comparable cameras across the majority of the sensitivity run. We are looking forward to pitting the D4 against the Nikon D800, the company's other major release this year, and also the newly announced Canon EOS 5D Mark III and Canon EOS 1DX. 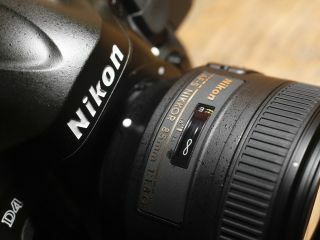 Read our Nikon D4 review for more details, and stay tuned for more updates when they arrive.